It’s a Wednesday afternoon, but instead of attending class, a 17-year-old teen is taking the stage to deliver an inspiring speech before hundreds of children for WE Charity. This WE Day event isn’t the first time Amaiya Zafar has been the center of attention. For the past two years, the Minneapolis native has made headlines for her ongoing battle with boxing authorities. Zafar, a devout Muslim, has taken issue with boxing uniform codes that restrict her need to be fully covered as required by her faith. Wearing a hijab -- a veil traditionally worn by some Muslim women -- is a violation of the uniform codes of USA Boxing, the body that governs Olympic-style boxing in America, and the International Boxing Association (AIBA) the worldwide body that governs all forms of boxing. 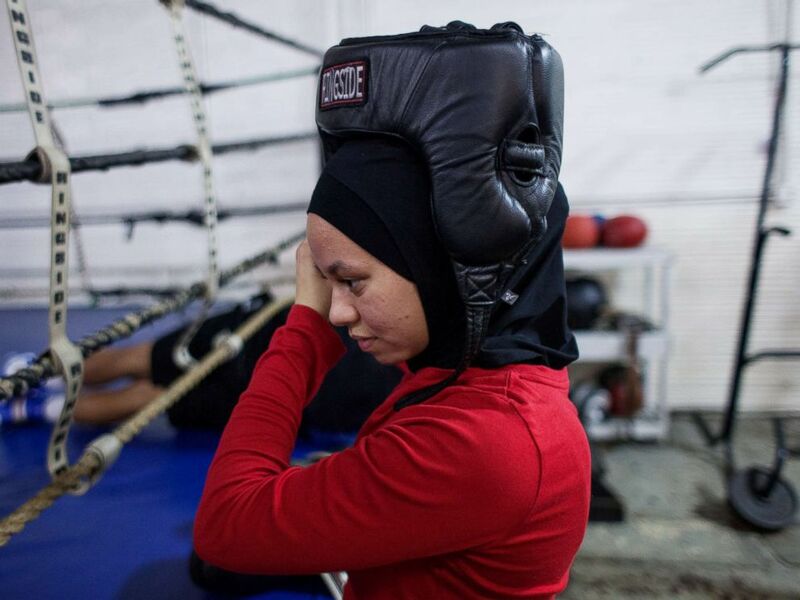 Amaiya wears her hijab under her helmet as she prepares to spar at Circile of Discipline gym. When she first became interested in the sport at the age of 13, Zafar had no idea that she would have to battle boxing authorities themselves just to get into the ring. In fact, her foray into the sport started as a joke when her father, Mohammad Zafar, suggested she try fencing. “I’d rather get punched in the face than fence,” she responded. He encouraged her to go for that instead. She began training in their garage, hitting bags, trying out a variety of workouts and watching YouTube videos to hone her skills. Soon, she began formal training at local gyms. 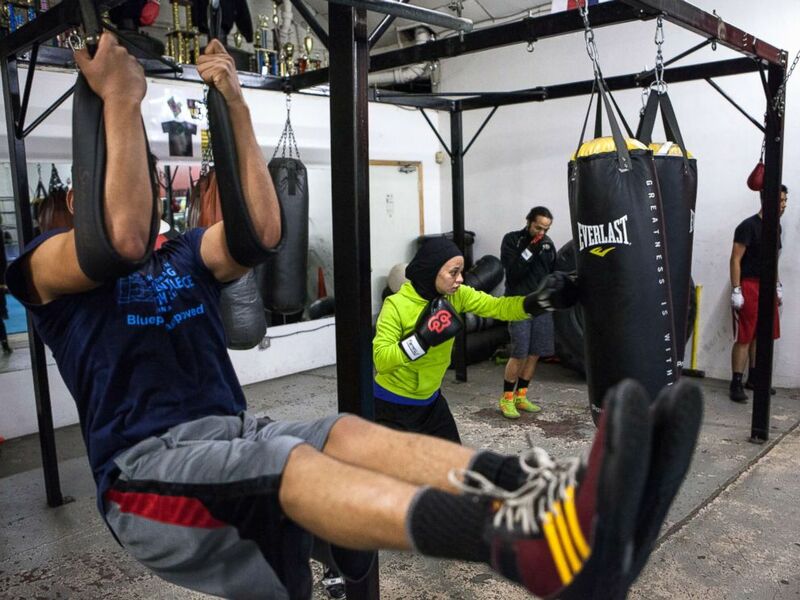 Amaiya Zafar spars another boxer at Circle of Discipline gym in Minneapolis. 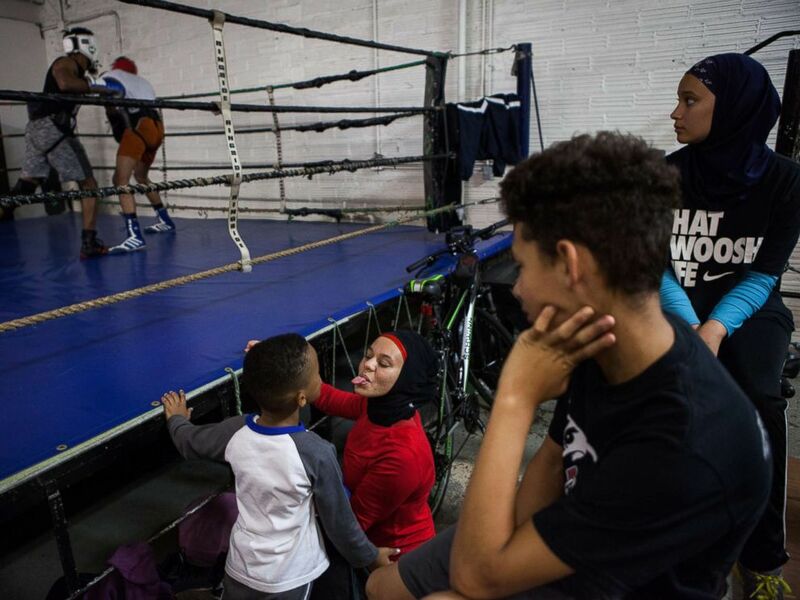 It wasn’t until 2015 that she realized boxing authorities would not let her fight because her hijab and other garb covering her arms and legs broke the official uniform code. 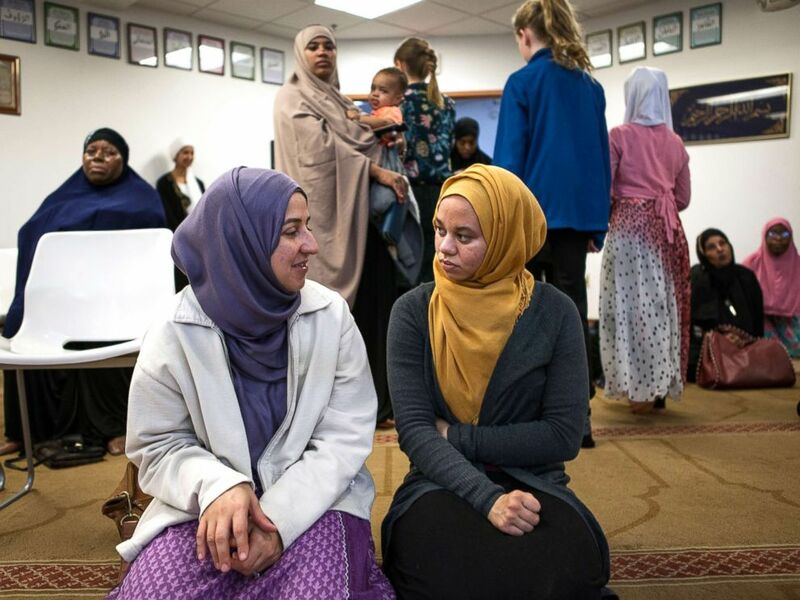 She said she was given a simple choice: Remove the hijab, or abstain from fighting. 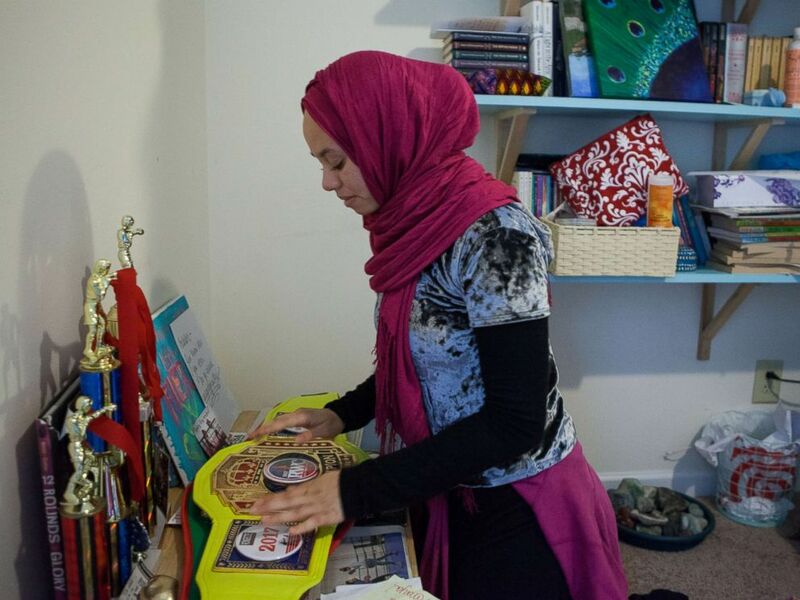 Amaiya Zafar looks at the belt that her opponent, Aliyah Charbonier, handed her after she was disqualified for not removing her hijab. Zafar’s plight garnered national interest in 2016 when she traveled to Florida from her home in Saint Paul, Minnesota, for the Sugar Bert Boxing Tournament. She was supposed to face 15-year-old Aliyah Charbonier of Clermont, Florida, in the ring. However, she said authorities made her forfeit the fight because she was not wearing the required uniform. In a strange turn of events, she said her would-be opponent handed her the winner’s belt as a sign of solidarity. Amaiya Zafar and other boxers train at Circle of Discipline gym. In a 2015 interview with Minnesota Public Radio News, USA Boxing Executive Director Mike Martino explained the governing body’s reasoning. "There's a safety issue involved. If you're covering up arms, if you're covering up legs -- could there be pre-existing injury?" Martino wondered. "And then if someone got hurt during the event, the referee wouldn't be able to see it." Martino said with thousands of amateur boxers in the United States, they have to draw a line somewhere. "If you make allowances for one religious group, what if another comes in and says we have a different type of uniform we have to wear?” he explained. Amaiya attends Friday prayers at a mosque in Minneapolis. Zafar has the support of the Council on American-Islamic Relations (CAIR), which disagrees with Martino’s explanation. The Washington-based civil rights group cites precedent in other sports bodies such as the International Weightlifting Federation (IWF) and the International Federation of Association Football (FIFA), both of which have lifted their respective bans on religious headgear, including hijabs. USA Boxing did not respond to ABC News' repeated requests for comment. In April, the St. Paul high school student achieved a small victory. The USA Boxing Association granted Zafar a waiver to compete in local matches. Amaiya Zafar sprints with fellow Circle of Discipline boxers by Lake Calhoun in Minneapolis before heading to the gym. USA Boxing told NPR then that it was "in the process of amending our domestic competition rules specifically to accommodate the clothing and grooming mandates of our boxers' religions.... USA Boxing will consider exemptions on an individual basis per USA Boxing's policy for non-advancing domestic competitions." According to USA Boxing's official rule book, non-advancing competitions are any competition where the winners do not advance to another competition, tournament or international competition. Amaiya Zafar jokes with her trainer's son. Although Zafar lost her first bout in a sanctioned match, she has her eyes set on the 2020 Olympics in Tokyo. She hopes that the restrictions on advancing fights will have been lifted. The diminutive boxer, who stands at just 5-foot-2 and weighs in at 114 pounds, struggles to find opponents in her age range and weight class. She said there are only a handful of girls she can be matched up with. When she turns 18, some of the restrictions will be lifted, allowing her to fight in tournaments with opponents outside her age range. But finding money to travel across the country in search of other fighters will continue to be a challenge as she doesn’t have an income and makes speaking engagements at no cost. 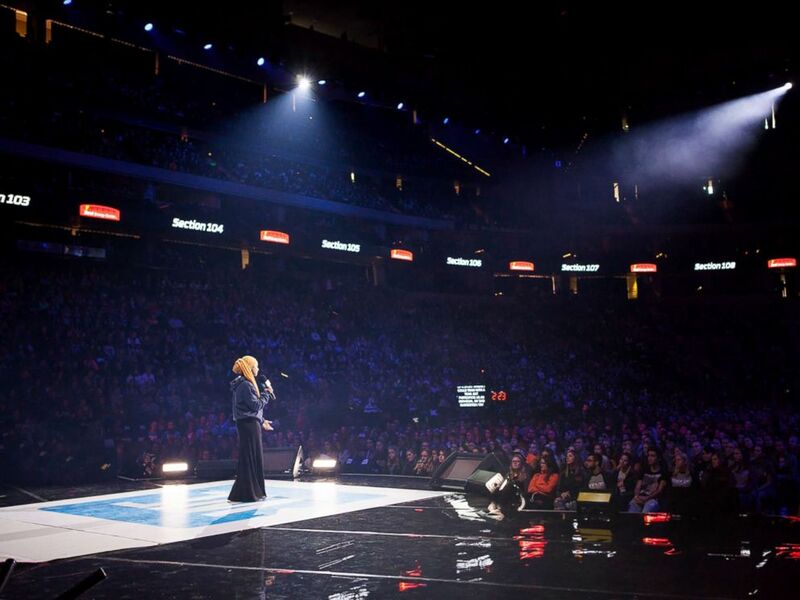 Amaiya Zafar speaks during a "WE day" event in Minnesota. 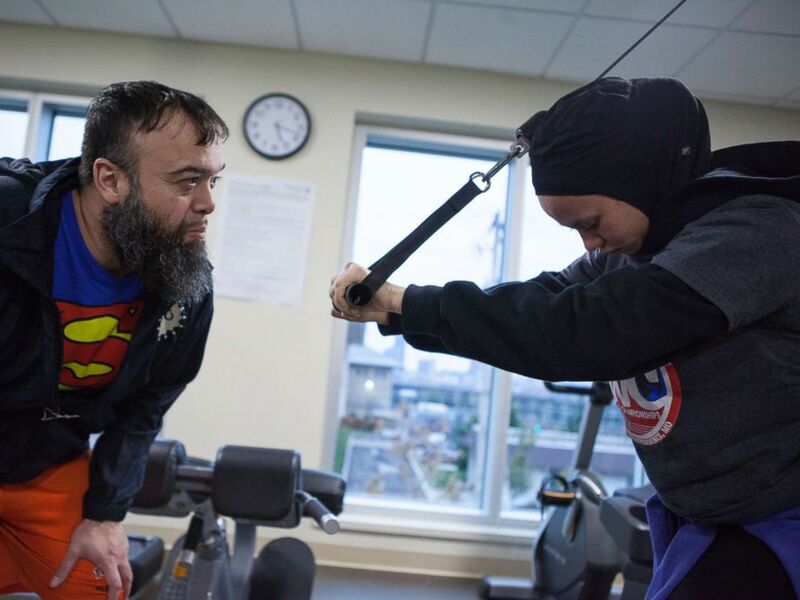 None of that has dampened Zafar’s enthusiasm: She’s training for her next fight -- whenever and wherever that may be -- as if it’s just around the corner. 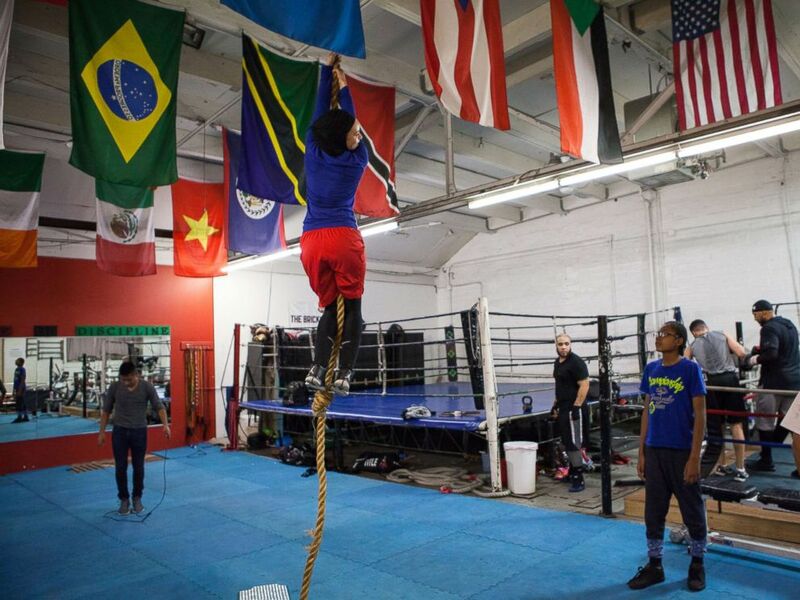 Amaiya Zafar attempts to climb the rope and touch the ceiling at Circle of Discipline boxing gym in Minneapolis. Since her story was first covered publicly, Zafar said she's received offers for commercial gigs, music video appearances and sponsorships, as well as numerous local speaking engagements, such as the one she delivered at the WE Day event. The socially conscious teen is thrilled to act as a role model for other young people. “It’s taught me that every move I make, I have to be responsible,” she said. “Sometimes it’s hard you know? ‘Cause I'm 17." More than anything, though, she just wants to box competitively.